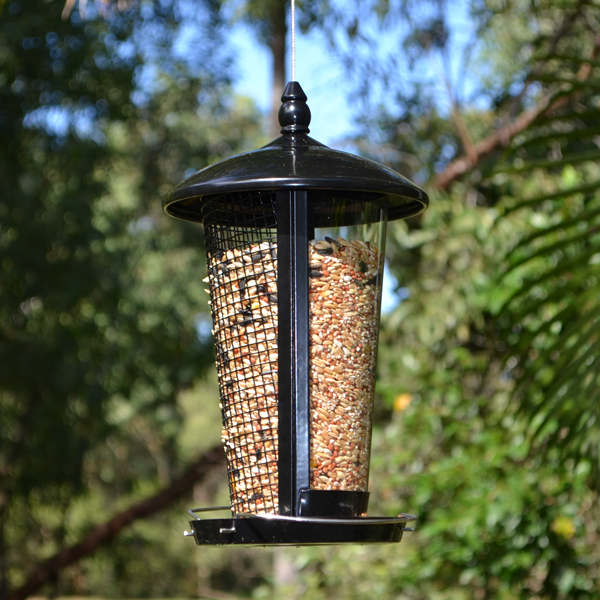 This black Nature Mates Zen Bird Feeder can hold up to 1kg of bird seed or nuts to attract a variety of small to medium back yard birds. 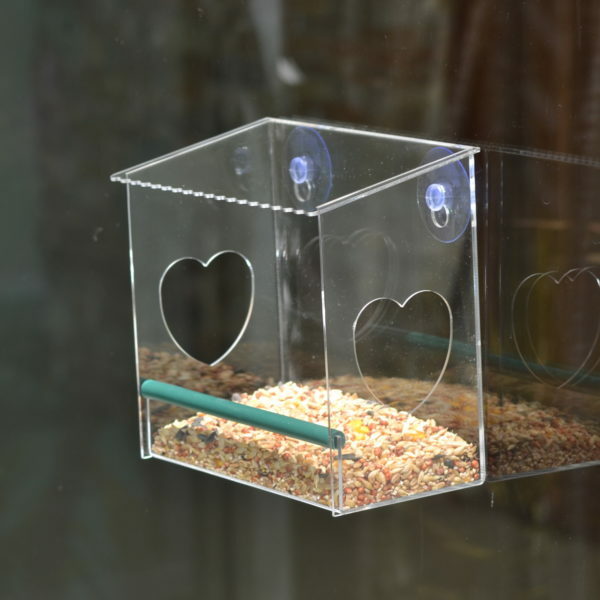 This simple perspex feeder is a popular choice and includes a bottom tray with 4 foldable perches to accommodate your birds. 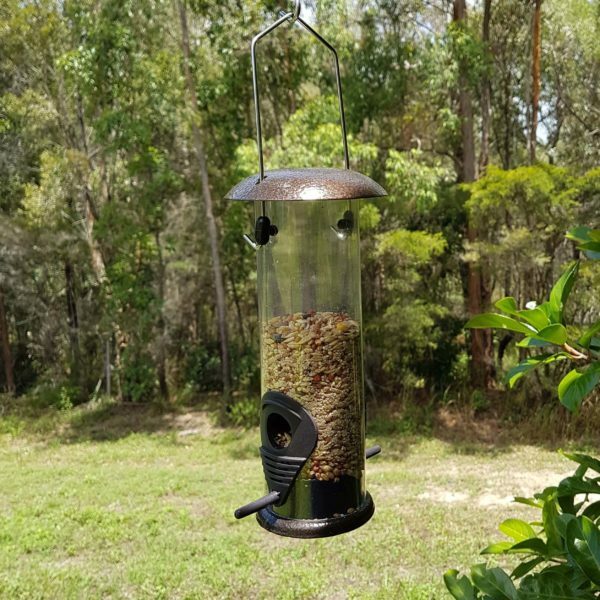 It allows for easy of filling and cleaning by unscrewing the bobble at the top of the feeder, ensuring not to unscrew the centre supporting rod in the process, and remove the lid. 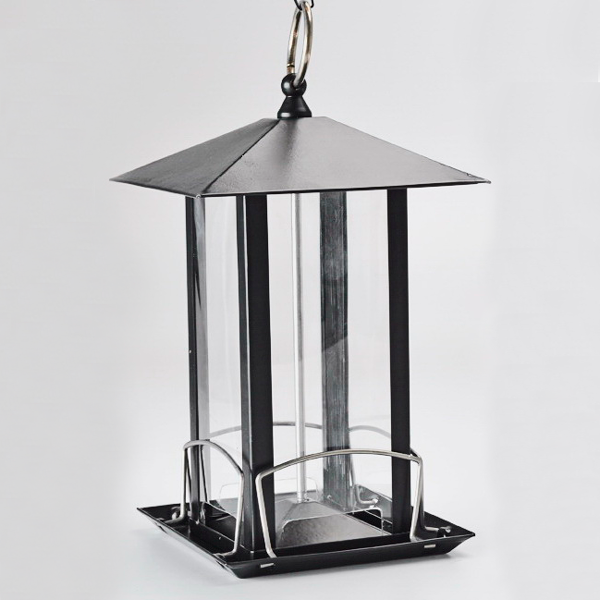 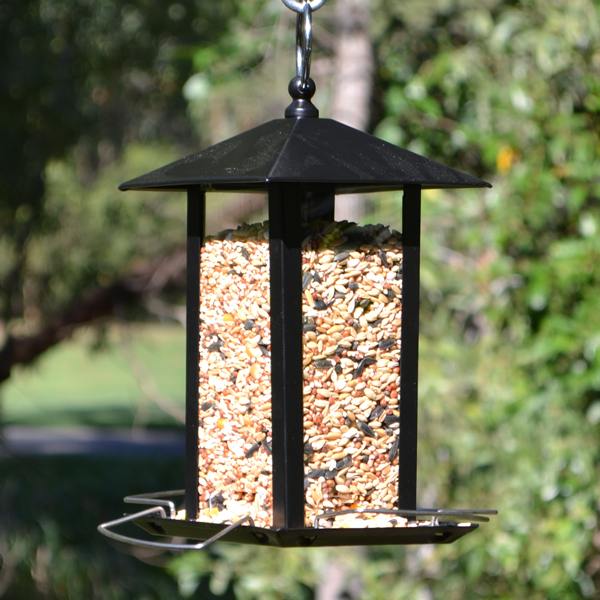 Made from eco-friendly, coated iron sheet and perspex sides, the feeder measures 12cm c 12cm x 20cm. 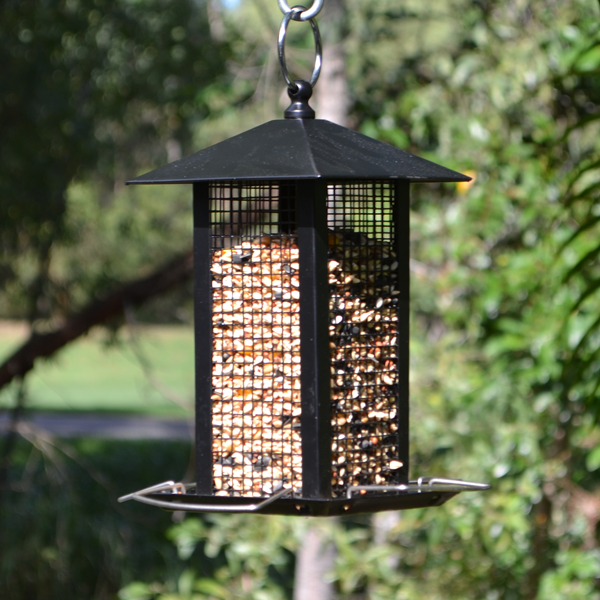 Took the native birds a week to find this seed cage but now they love it!